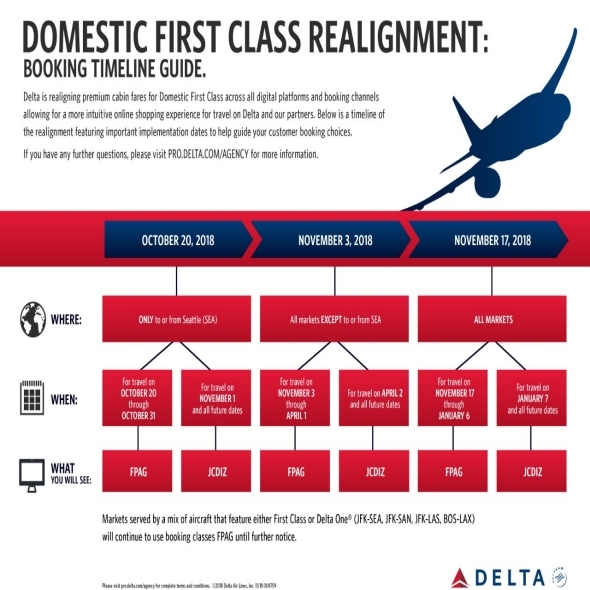 On November 17, 2018, for travel on/after January 7, 2019, a schedule change occurred for all Domestic (50 U.S. and Canada) First Class markets to move Domestic First Class fares from F, P, A, G and R Class to J, C, D, I, Z and O Class. For example, rebooking would look like: F > J, P > D, A > I, G > Z, R > O. Travel agency PNRs will be updated with the new booking class and tickets should be revalidated automatically.